I cannot believe that it has been a month since our doors opened at Serene View Ranch. Everything has been going well, with the exception of our absent road sign. 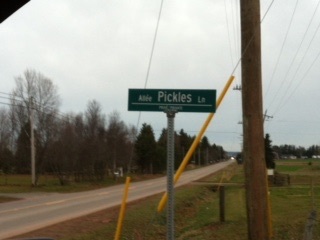 We are pleased to announce that the Pickles Lane sign has arrived and we will no longer have people getting lost trying to find that “darn” sign. Please stay tuned for our updates and news as we are quickly offering a wider range of services at the ranch.